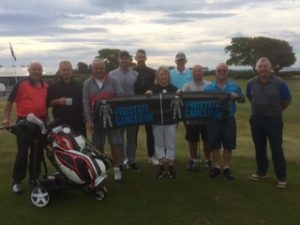 The club agreed to donate all proceeds from the entry to Saturday’s medal towards Prostate Cancer UK. With 98 members taking part this raised £98. 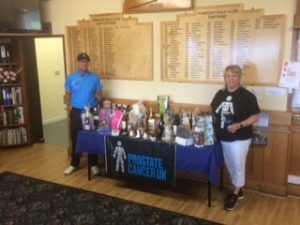 Match Secretary, Steven Burgess and his wife Lorna organised a raffle to raise additional funds and this raised a further £400…..and counting. The club would like to express our thanks to Steven and Lorna for organising the raffle.